I am 49 years of age, married to Joanne and father to 2 teenage boys, Rhys and Harri. 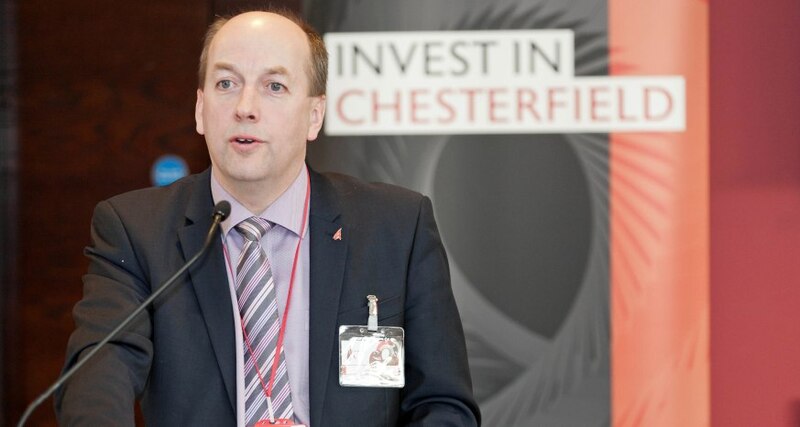 I joined Chesterfield Borough Council in October 2003 and have held the post of Chief Executive since May 2008. 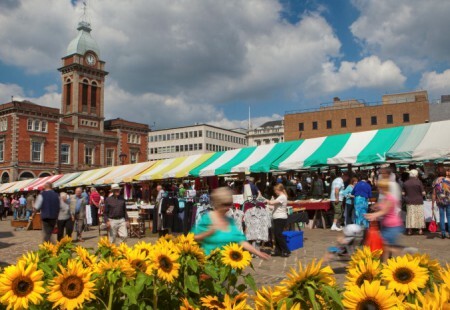 What do you like best about working in Chesterfield and why? The people – I’ve never felt more welcome than I have in Chesterfield – the town’s residents and business men and women are all warm, friendly people, and the Council’s staff bring a great attitude to work every day. The place – Chesterfield has so much to offer and with well over a £1 billion of new development in plan or progress it is a place that is most definitely ‘on the up’. 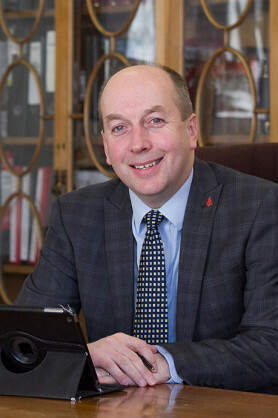 The Town Hall – it is a special privilege to be Chief Executive of Chesterfield Borough Council. And the grand nature of the municipal building where I spend my time every day gives me a real sense of responsibility to ensure that the people of Chesterfield receive the very best facilities and services. With 2 sports-mad teenage sons, I spend most of my free time on the side of football, rugby, hockey or cricket pitches. I also particularly enjoy running in the Peak District and lazy summer days picnicking with family and friends in Chatsworth Park. For a sandwich, you can’t beat Upper Crust at the Market Hall, for a pub lunch The Barley Mow, and for an evening meal Calabria on Glumangate. I’m also a big fan of The Royal Oak at Great Hurdlow (at the end of the High Peak and Tissington Trails). What interests me is simple, locally sourced and great tasting food served in locations that have a bit of a buzz about them. The Council is a big business with a £100 million annual turnover and 1100 staff. The key to success is collaboration – between councillors and staff, and with our communities and partners (the police, the health service, Chesterfield College etc.). And what makes me tick is that every day I know the Council makes a difference in terms of improving the quality of life of local people. Chesterfield has a great future. Our plans to regenerate the town’s former industrial sites will transform Chesterfield into a modern, contemporary destination – a place for entrepreneurs to start new businesses, for existing businesses to grow and for businesses to re-locate from other parts of the UK. We offer great road, rail and air connectivity, a quality of life that few towns of comparable size can match with the Peak District on our doorstep, the very best business support and advice services, and a skilled and loyal workforce. If you had a magic wand, what one thing would you do to improve Chesterfield? Chesterfield people are very modest – they tend to be very comfortable with their lot. If I had a magic wand, I’d encourage them to shout out loud about what a great place they live in. Destination Chesterfield Board and team photography by Amanda McConnell Photography and John Bradley Photography. 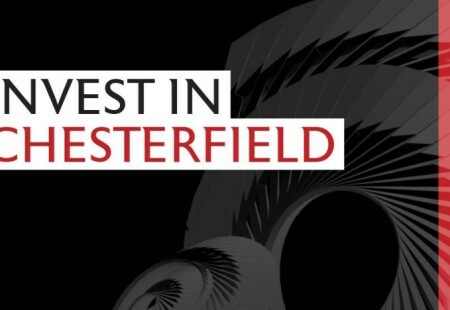 Invest in Chesterfield and you will join world-leading manufacturers and communication companies. 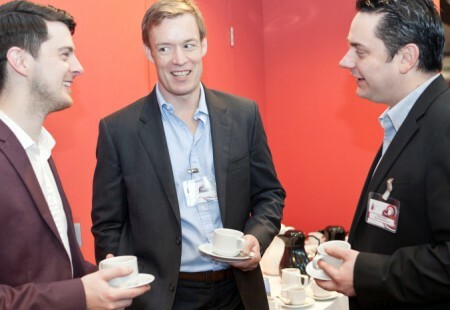 Enterprises benefit from our superb travel links.